As a family, we are very excited for the latest Star Wars film to be released! In the meantime, to keep our addiction at bay we have been playing around with the Radio-Controlled Inflatable Stormtrooper and it’s gone down a treat!! I seem to wax lyrical about my families love for things remote controlled but they are by far the type of toy that gets the most excitement. 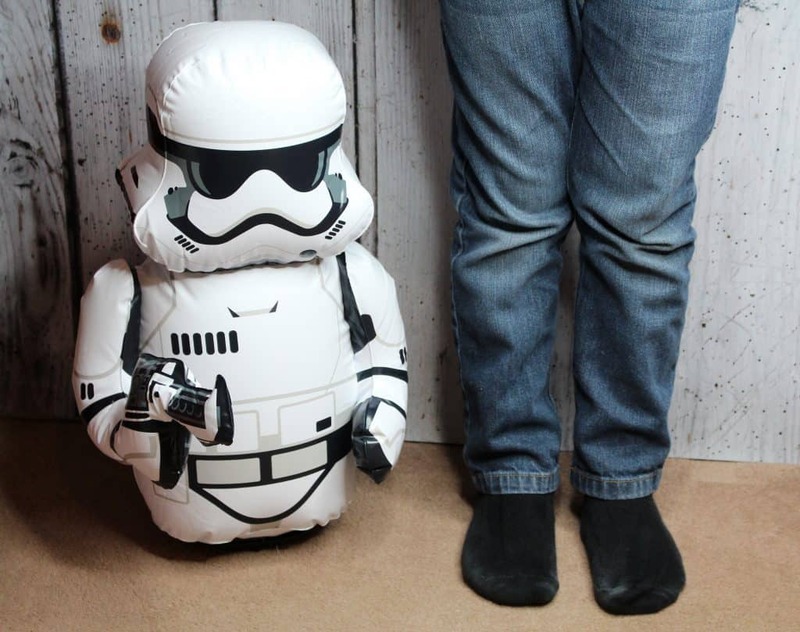 The jumbo inflatable Stormtrooper from Bladeztoyz is a fabulous addition to our collection. The First Order Stormtrooper stands at 47cm tall and makes realistic blaster sounds like a real Stormtrooper. The Stormtrooper is very easy to control and Henry picked it up with ease. Because it’s inflatable there is no worry that he will damage furniture or walls or the actual toy if he does bump it. In fact my main concern was that our French Bulldog Stitch would try to eat it! There is a good range between controller and unit of 30 metres and the Stormtrooper can be used as a multiplayer unit which opens up possibilities if you have more than one child or a group of friends that want to play together. The Stormtrooper is suitable for use both indoors and outside and Henry has had fun playing with it around the house and on the school playground. All you need to add to the unit is 6 AA batteries which are not included. There is no charging or waiting as soon as you load the batteries and inflate the body you are ready to go. Henry of course was more than thrilled. This is the ideal toy for him to be able to pick up and play with as he likes. It’s great for his imagination as he pretends that the Stormtrooper is chasing his other toys and the lifelike sounds really add to the fun. I have caught him on a few occasions chasing the dog round the house too! Poor Stitch thinks the house has been invaded! In terms of quality I am very impressed. The word ‘inflatable’ made me nervous especially with a boisterous boy and a dog that likes to chase things. I had visions of Stitch popping the unit within the first five minutes. Although I do have to make sure that said dog behaves appropriately around the Stormtrooper the inflatable body is very well made and durable which means it can be bashed into things and remain resilient. I think that a lot of fun can be had with a toy like this and the option to add multiplayers just expands that. 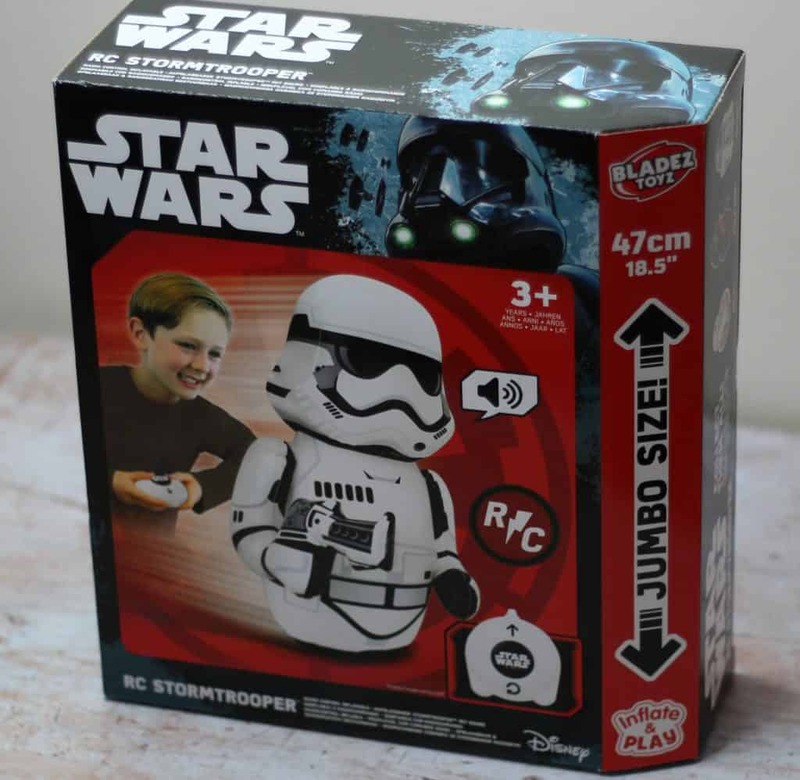 The Radio Controlled Inflatable Stormtrooper retails at around £24.99 and is the perfect gift for a young Star Wars fan! 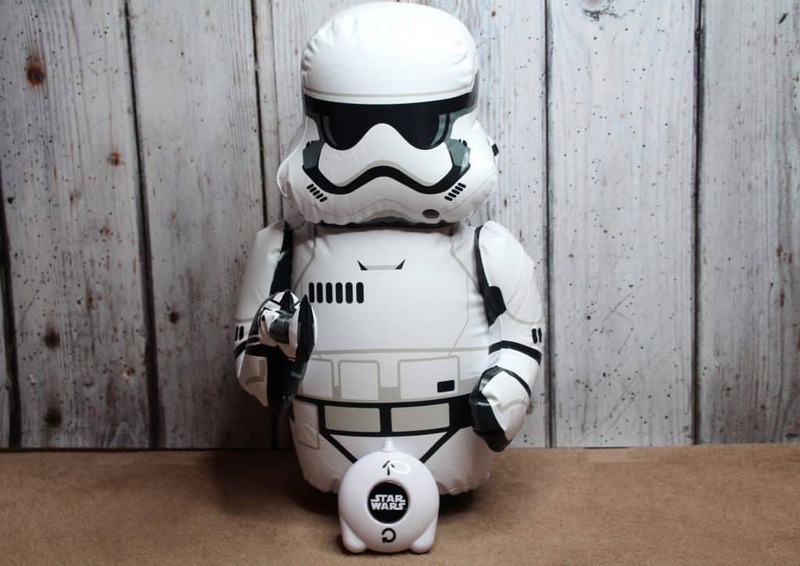 I received The RC Inflatable Stormtrooper on a gifting basis in return for an honest review however as always all words, opinions and thoughts are my own! Prices are correct at time of printing please see individual websites for up to date prices. For more information on any of this please visit this page.